Sandy Mazur, an executive at Spherion, will speak on 2015’s Emerging Workforce Study during the next Crawford Conversation, 11:30 a.m. July 15 in the Bucyrus High School theatre. NEIGHBOR TO NEIGHBOR KICKS OFF SUMMER COOLING SEASON – The Ohio Neighbor to Neighbor Program, a partnership of American Electric Power and Dollar Energy Fund, is providing utility assistance grants for the summer season. AEP Ohio customers can apply for help to keep or restore electric service through Aug. 31. The program is funded for public donations matched dollar for dollar by AEP. For information about how to apply for assistance or donate, visit www.dollarenergyfund.org. CRAWFORD PARK DISTRICT AT FARMERS MARKET – The Crawford Park District is slated to take part in the Crestline Farmers Market on July 14. Children will be able to make their own caterpillars from recycled egg cartons and can be taken home. In addition, the district will pass out newsletters and share a picture of the upcoming indoor interactive tree house for children. 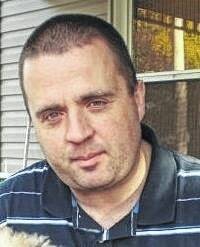 Pugh is the Group Content Editor for the Galion Inquirer, Bellville Star, Morrow County Sentinel and Knox County Citizen. You can reach him at cpugh@civitasmedia.com and on Twitter at @pughcivitas.